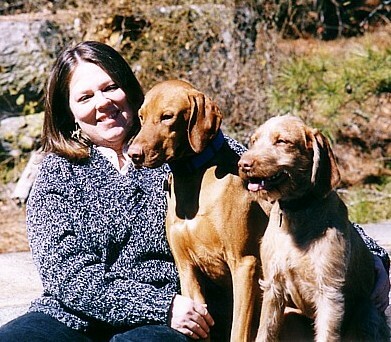 Many of the stacked and moving photos of my dogs on this web site are the product of Phyllis Ensley Photography. 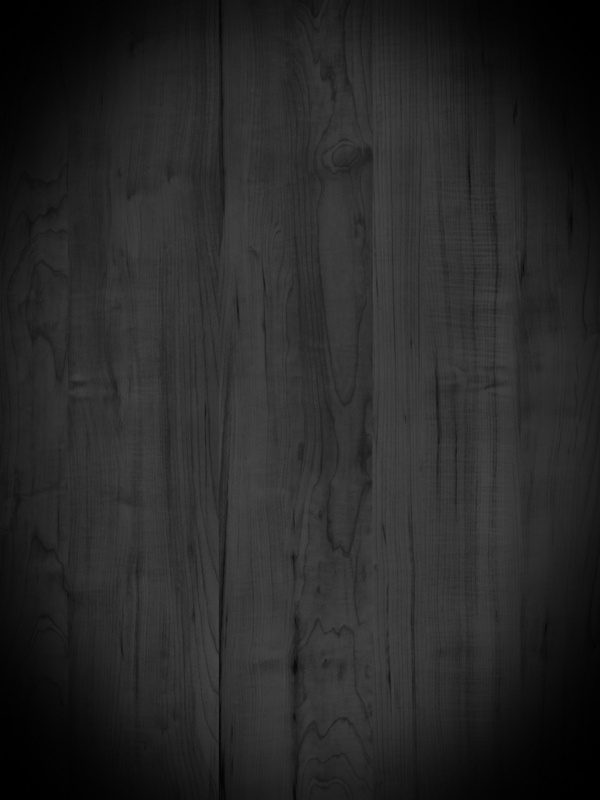 I recommend her highly for professional photographs of your show dog!! 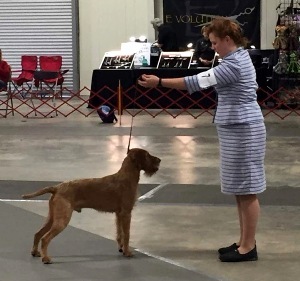 I feel sure I speak for the Wirehaired Vizsla Club of America officers and members when I say that we are very proud of the work we have done, and of the dedication of several true Wirehaired Vizsla lovers! 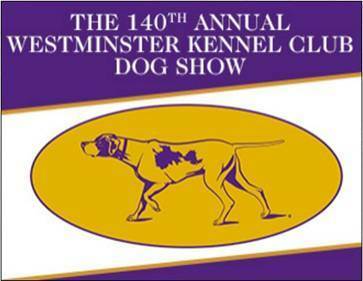 Congratulations to those who have been there from the beginning of our quest for AKC recognition!! 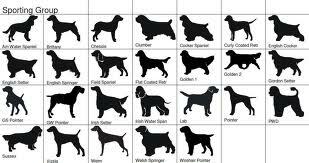 and #2 WV in AKC All-Breed! and was the very first WV to take a Group placement!! 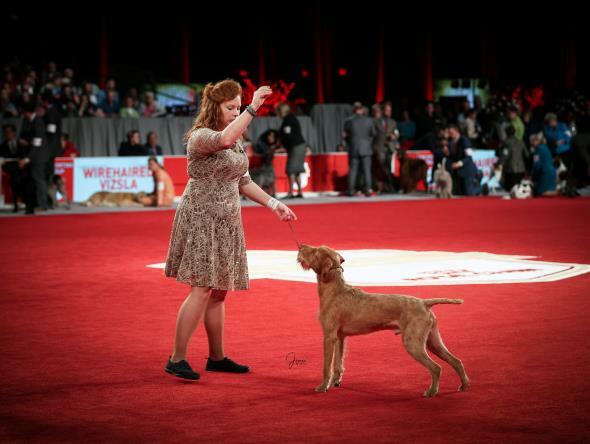 AKC 2014 Top 10 Wirehaired Vizslas! 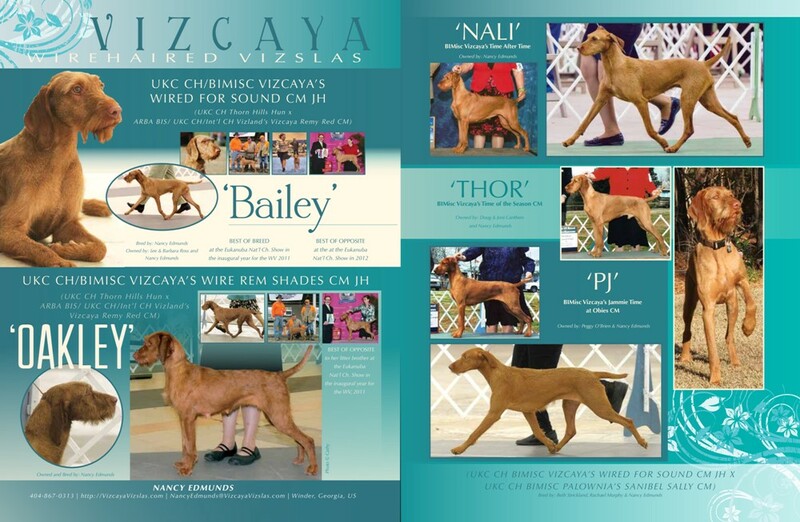 October 2013 Show Sight Magazine Ad for Vizcaya Wirehaired Vizslas!! 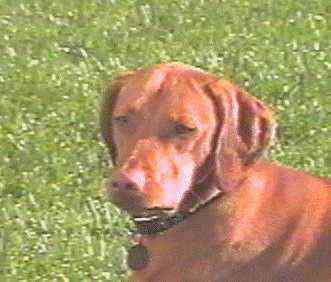 the first Vizsla certified as a Forensic Evidence and Body Recovery Canine. 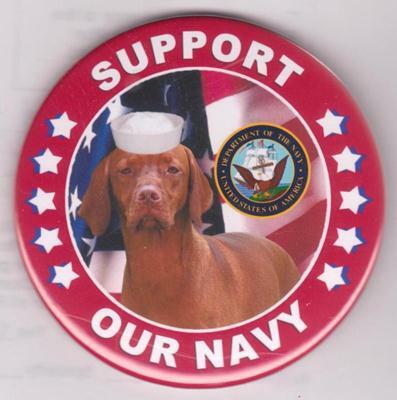 Owned by Rita Martinez, Bred by Nancy Edmunds and Susan Thibodeaux.